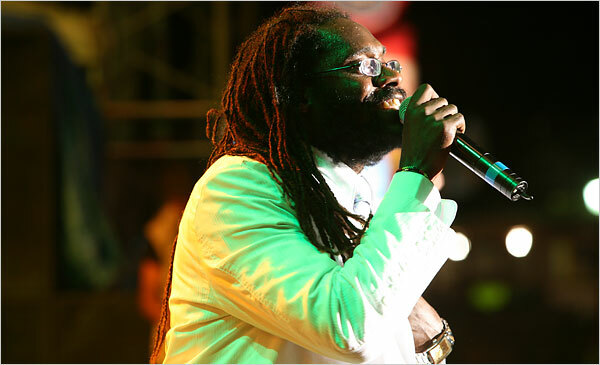 LAST month, inside a sprawling new tourist resort on the Montego Bay coast, Tarrus Riley did the near impossible: He and his seven-piece band, anchored by the Jamaican saxophone virtuoso Dean Fraser, transformed an antiseptic, fluorescent-lighted, air-conditioned hotel ballroom into a sweaty reggae dance party. Mr. Riley, a 30-year-old Rastafarian singer-songwriter, was celebrating the imminent release of his third album, “Contagious” (VP Records), a diverse collection of songs that reveal the complexity and richness of a genre often dismissed as monotonous. This entry was posted on Sunday, August 23rd, 2009 at 5:13 pm	and is filed under Reggae Music. You can follow any responses to this entry through the RSS 2.0 feed. You can skip to the end and leave a response. Pinging is currently not allowed.